I’ll bet you didn’t know that there’s a city in the Jalisco Highlands of Mexico named Tequila? And that for tequila to be considered a true tequila it has to come from the area surrounding this city and must be produced using 100% blue agave, a plant that due to the volcanic soil found in this region and the cooler climate, is both larger and sweeter in aroma and taste than the agave found in other regions? Truth. In fact, Mexican law states that tequila can only be produced in the state of Jalisco and the small towns surrounding Tequila and only with the blue Weber agave plant. In the U.S. we’re not as discriminating and allow tequila to be made with as little as 51% agave. Gringos! Good Times to Drink Tequila? We’ll let the names of tequila-mixed drinks be our guide here. Good Songs to Accompany Tequila? There may be more songs about tequila than any other drink out there…well, at least more than any other drink originating in Mexico. And while many of them aren’t worth crap, some are worth a listen. The best one has to be Tequila, performed in 1958 by The Champs. More than just great music, this song has the perfect lyrics – TEQUILA (repeated every-once-in-a-while throughout the song). TEQUILA. I fell in love with tequila again. That I lived In Encinitas (summer of ’82) has something to do with me appreciating these lyrics but those last two lines exactly how it is: I swore her off, but I’ll be damned, I fell in love with tequila again. How many of us can relate to that? Is a low-calorie alcohol that, unlike most alcohol, stimulates your metabolism. Additionally, tequila carries a specialty sugar named agavin that has weight-loss properties. Hey, that’s something anyone can drink to. May lower blood sugar and cholesterol. A study by the American Chemical Society suggests tequila may help lower bad cholesterol and raise good cholesterol. Helps digestion. 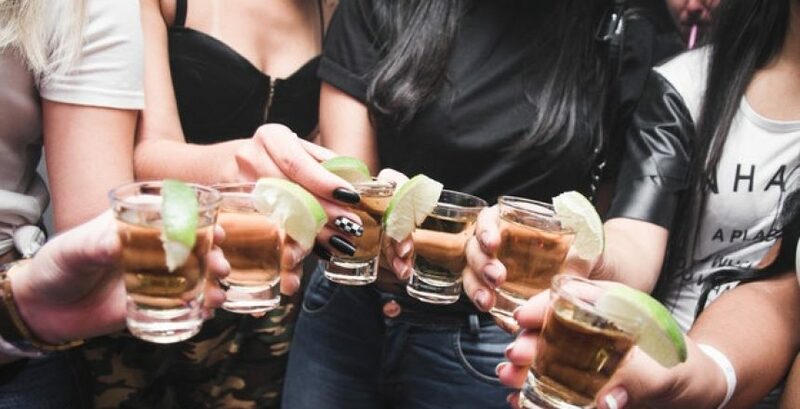 In addition to probiotics, a post-meal shot of tequila may help stimulate digestion. Is Gluten-free. This is because it’s made from agave and not wheat. Is good for your bones. The blue agave contains substances that enhance the absorption of calcium and magnesium in the body. Can relieve stress and aid sleep by calming nerves. All That and Good Skin, Too? Tequila is also considered a cleaning analgesic. That means it has astringent properties that remove excess dirt and oil from the skin. In fact, many luxury spas are using it as an ingredient for skin treatments, detoxifying, and tightening pores. Good App – Bottlecapps Store-Branded App Makes Tequila even better. If you’re a beverage store owner or manager having this app will allow you to push messages about the great tequilas you carry and pushhhhh customers into your store. If you’re a beverage store customer (and who isn’t?) having this app on your phone will give you the ability to search your store’s inventory and find the best tequila for your party, weekend, date nite, or time alone. If your store has our app, download it now. If your store doesn’t have our app, demand that they get it. Damnit.